Every kid loves playing with the hose. Why not let the kids spray each other and have water fights to cool off in the heat. This is a favorite activity at our house. We get the occasional sad face, but mostly just laughs. This could also be used at a party by filling up a kiddie pool with water and let the kids run around with water guns, or spray the trampoline with water for a slippy tramp. There are so many funny sprinklers to hook up to the hose and let go wild. Games are a must with a party full of boys. They like to throw, race and jump. 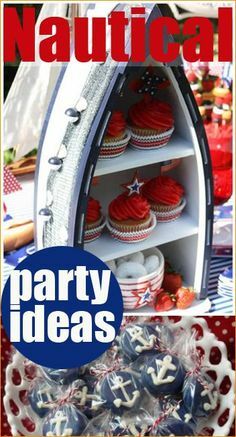 Here are some great party game ideas. What you need: Dental floss, Saltine crackers, newspaper. Preparation: Cut the dental floss into pieces. Thread the floss through one of the holes in the cracker and tie a knot. Attach one cracker to each child’s belt loop so that the cracker is lying on their behind. If they do not have a bet loop, you can either use safety pins or tie the string around the waist. Give each child a newspaper wand. To make a newspaper wand, just roll up a few pieces of newspaper into a pipe shape and secure with a piece of tape. How to play: Set boundaries for the game, generally a large square of space outdoors. The children run around trying to hit each other’s crackers off their string. Once their cracker is all gone, they are out of the game. The child with the largest remaining cracker wins the game. Note: When I played this game at my son’s party, half of the boys were remaining after awhile so I kept shortening the boundaries until we found a winner.